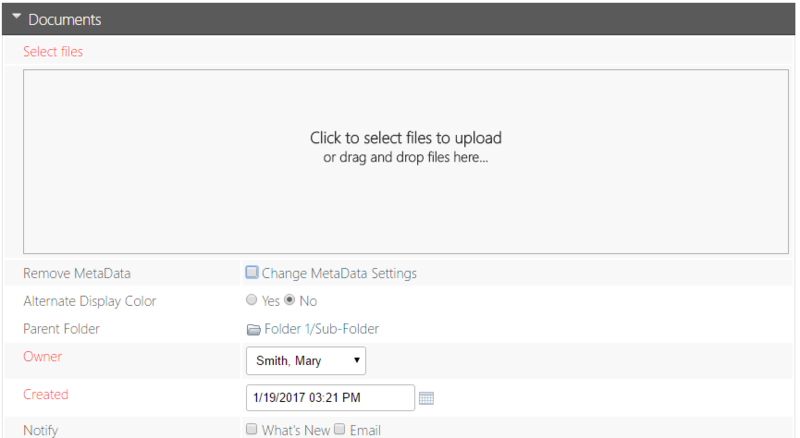 The most obvious change for you and your end users will be the drag and drop uploading. While the Documents feature will look the same, and even operate much as it has before, you now have the ability to upload multiple documents in any modern browser. 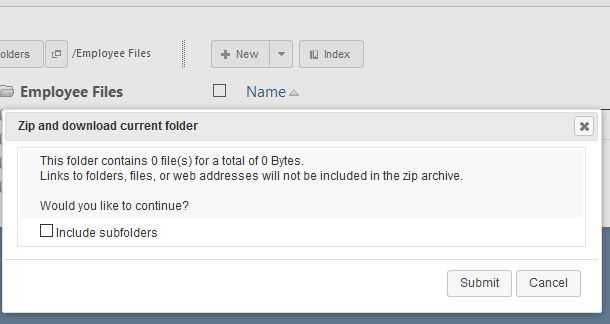 This removes the requirement for the Multi-File Upload ActiveX component for in browser uploading (though you will still need to use ActiveX if you are uploading files from a Document Management System). Navigate to the Documents feature. Note the changes to the add document screen. 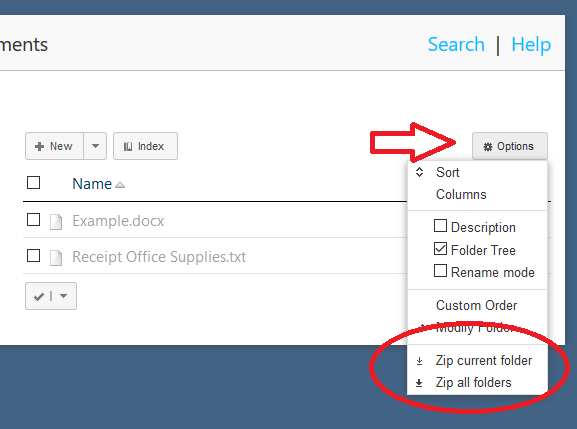 Add documents to the list by dragging and dropping as well as by clicking and browsing. Note that documents inadvertently added can be removed before the page is submitted. You can also drag and drop documents onto your document or folder list. 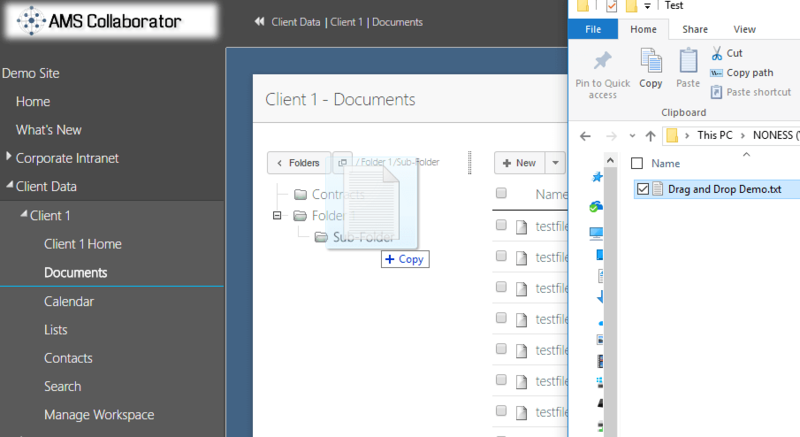 Drag and drop files onto the list of existing files. Complete the process or cancel. 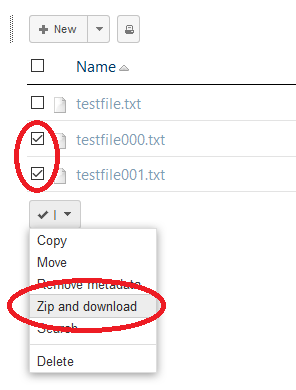 Drag and drop files onto a folder in the tree. Complete the process of cancel. 1In addition to the drag and drop, we have introduced some additional security options for users accessing the extranet system. One common concern is how to secure a document once it leaves the extranet. There are two new “view” options we have added that can provide additional security. These are both found as additional “View as” options. 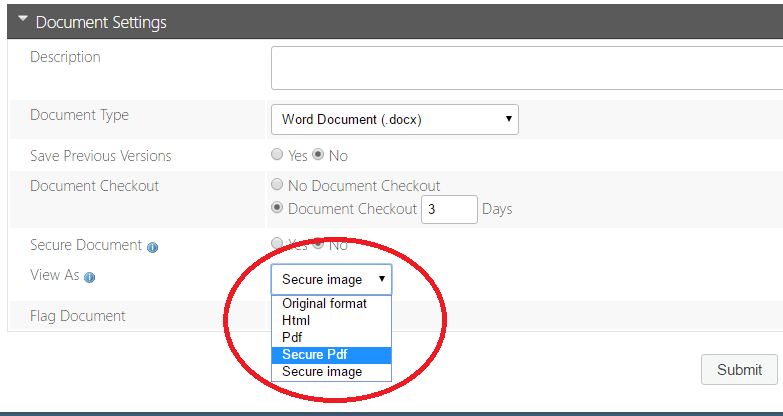 In addition to viewing a file in its original format, as HTML, or as a PDF, you can now choose to view the file as a Secure PDF. 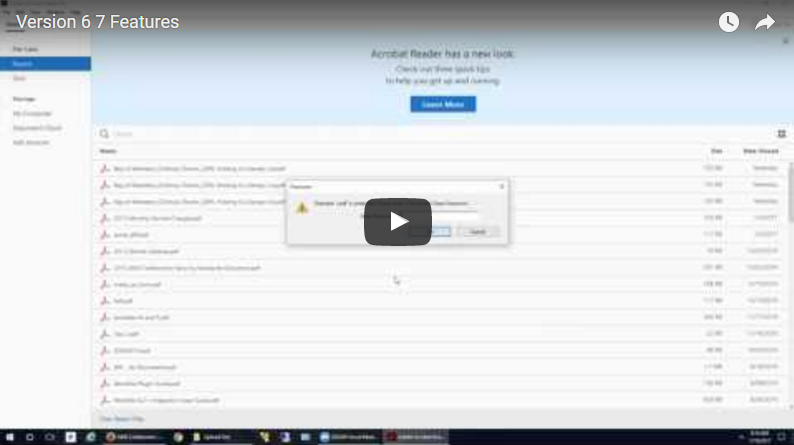 For this we are using the Secure PDF options that are available through Acrobat Reader or other PDF readers. You can choose to secure and encrypt the PDF with a password. This password will be required any time the PDF is opened. A document secured this way can be downloaded by the user, but will remain encrypted on their local system. 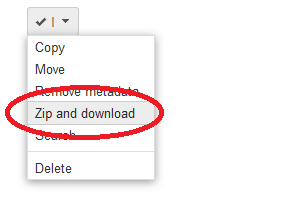 You can also choose to set security options on the PDF to prevent printing or text selection. While these are native capabilities with the Pdf format, they are not universally supported, and some PDF viewers will ignore these settings allowing users to print or save. This is not something we can control as it is part of the PDF standard. Add or modify a Word/Excel document. Expand the Document Settings section and choose Secure PDF from the “View as” option. However, if you do need to prevent a document from being printed or saved, the other “View as option” provides a much more secure experience. 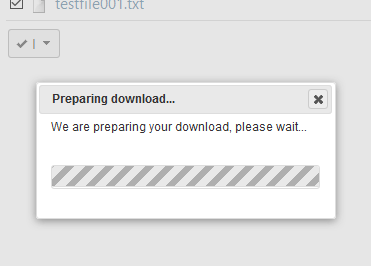 In this case, the document is never downloaded. Instead, the extranet system automatically converts the document, page by page, to an image that the user views within their browser. As an image, the text cannot be selected, and there is nothing to save. While it is possible to screenshot the image or take a photo with a camera phone, this is about the most secure way to present a document. The only limitation is that is cannot be taken offline. Expand the Document Settings section and choose Secure Image from the “View as” option.